Whether you've dug it out of your backyard or found a treasure at the flea market, antique glass can be both a collector's item and a charming way to decorate your home. 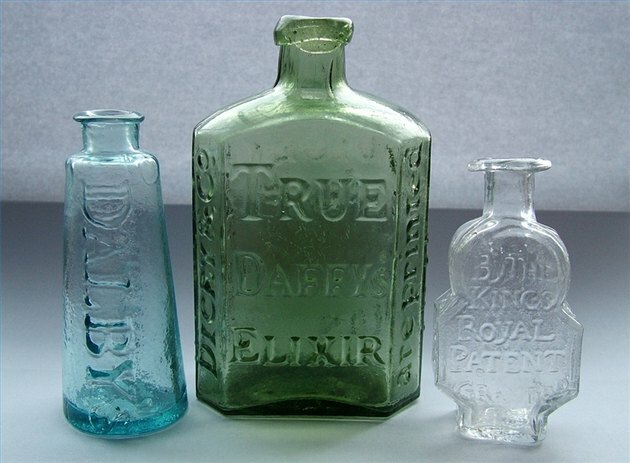 Glass bottles of all types can be lovely accents and treasured keepsakes. But glass can show the effects of time and the elements. With this simple method, stained and dingy old glass can sparkle again. Add about a tablespoon of vinegar to the glass bottle. Add a teaspoon of uncooked rice. Add a half-teaspoon of liquid dish soap. Fill the bottle halfway with warm water. Shake the bottle well then let sit for 15 minutes. Repeat. For stubborn stains or residue, let the mixture sit overnight. Gail Chandler is an editor, writer and avid blogger with more than 10 years' experience. Her work has appeared in a variety of print and online mediums. Chandler holds a master's degree in creative writing and publishing from the University of Baltimore.